Our team has experience with a wide variety of commercial and residential projects throughout the VA Tidewater Region. We are able to provide top-quality mold removal and environmental cleanup services largely because we have a dedicated team of managers, inspectors and technicians. 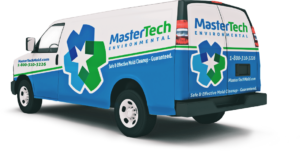 At Mastertech, we understand the consequences of a poorly executed remediation or improper cleanup. That is why we set the highest standard possible for our team. We will never compromise the quality of our services for any reason. We aim to exceed industry standards & provide skilled expertise when the unexpected happens. Mastertech of Tidewater is fully certified and properly insured. Our managers and technicians have undergone intensive technical and safety training to ensure very job is done right the first time. In addition, our entire staff undergoes background checks and drug screenings. You can be assured that the service you receive will be thorough, effective and discreet. We are committed to providing our clients with compassionate, respectful services. Our team offers comfort and support to overwhelmed property owners and can assist with stressful tasks like filing insurance claims and formulating restoration plans. We take pride in knowing we can make a difference in a family’s quality of life. Our mission is to provide safe, effective and efficient mold removal and environmental cleanup solutions to residents and business owners throughout The Tidewater Region of Virginia. At Mastertech, we get the job done right the first time.